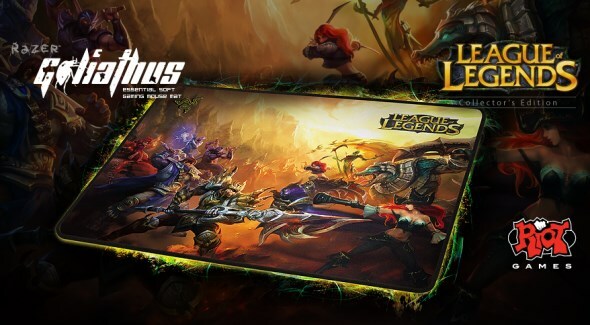 With the level of popularity that League of Legends (LoL) has managed to gather since its debut in 2009, it is not surprising that the game has attracted Razer’s attention to release LoL-themed gaming peripherals. Suiting the game’s Multiplayer Online Battle Arena (MOBA) nature, one such product that Razer will be unleashing into the market soon is the MOBA-oriented Razer Naga Hex LoL Collector’s Edition Gaming Mouse. In general, the mouse is similar to any other Razer Naga Hex Gaming Mouse out there which features a set of mechanical six side button, high performance mouse buttons and 5600dpi 3.5G laser sensor. 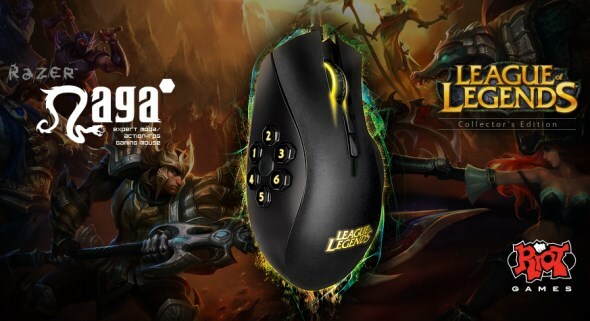 However, the LoL version comes with its logo stamped on the mouse and amber light instead of the usual green or red colorways. Razer has also released a LoL-themed Razer Goliathus alongside the mouse. To be made available to gamers everywhere sometime in this month, the mouse is priced at RM 280 (USD 89.99) while the mousepad will be available for RM 63 (USD 19.99). LoL fans out there might want to give a call to their favorite game peripherals retailers for further information or visit www.razerzone.com.